Hilary Weeks has been writing songs since she was 14 years old. Her uplifting, contemporary music has inspired countless Christians across the country. This CD, Day of Praise, is perhaps her finest ever. "Never before have I enjoyed the writing and preparation process so much," Hilary says, "and yet, it has never been so difficult. With our world becoming more challenging each day, I knew every note, every word, every message had to uplift, encourage, and strengthen. I hope you will find the music to be fresh and inspiring. May your soul be lifted each time you listen." Hilary Weeks grew up in a home filled with music. Born in Colorado and raised in Alaska, she began playing the piano at age eight and wrote her first song at age fourteen. Her first recorded song, “He Hears Me,” was featured on the 1993 EFY album, and from there Hilary quickly became a favorite in the inspirational music industry. She has released eight solo albums, has been featured on numerous compilation albums, and has been the recipient of multiple awards from the Faith Centered Music Association. Her most recent album, Every Step, reached #6 on the Top Current Contemporary Christian Billboard list. She also published her first book in 2009, Believe in What You’re Doing, Believe in Who You Are. Hilary and her husband, Tim, reside in Lehi, Utah, with their four daughters. Every song is worth buying the CD! This CD is perfect from beginning to end, I just love it. Hilary has a gorgeous voice, and the message of every song seems to speak to your soul. I listen to it almost every Sunday and definitely when I need a pick-me-up! Hilary Weeks has proven herself to be the most creative, sensitive, and 'in-touch' female LDS singers and songwriters of our day. 'Day of Praise' not only continues that trend, but amplifies it. Hilary's songwriting has never been better. Her vocal interpretation has grown as Hilary herself has grown in her own life - as an artist and as a wife and mother of four. She was a student in college when she wrote her seminal hit song 'He Hears Me'. However, her newest material, showcased herein, reflects a deeper, even more rich understanding of the Spirit as well as a musical and lyrical ability that only comes with age and experience. The song 'Through His Name' is perhaps the best song she's ever written. It's exciting to hear new material from a truly gifted artist. 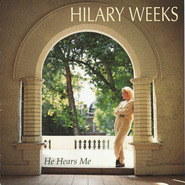 Hilary Weeks is the 'real deal' and this album represents the 'best of the best' in LDS music today. 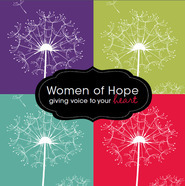 This CD will comfort and inspire you! Hilary has done it again! This CD is just incredible. Her music brings in The Spirit and uplifts your soul. When I listen to her music I feel close to Heaven. If I am having a bad day, I just pop in this CD and I immediatly feel better. Day of Praise is my chicken soup for the soul! I am uplifted and ready for a new day. Hilary has been a part of our music library since 1996 and each song, each new release has reached deeper into our souls. 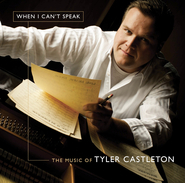 This music will inspire all who listen, to work toward building a better more meaningful relationship with the Savior. To see his hand is truly in all goodness and mercy. To feel the breeze, see the stars, study his words and indeed PRAISE HIS NAME. Spiritual Excellence through song. Music is the easiest way into our hearts! Thank you Hilary for all your hard work to uplift us. To uplift our families and brighten our days through your testimony and love of the Lord. Hilary just keeps getting better. I love to see her perform and feel the spirit she brings with her when she sings. Not only is she an amzing singer and songwritter, she is a wonderful person. I hope she will continue to make music for years to come. Her music gets me through days when I just don't think I am going to make it. It has strengthened my testimony and made me feel closer to my Heavenly Father. This cd is wonderful she sounds great, the songs are incredable. A must have. I can't be without this CD!! I can't begin to say enough about the beautiful and inspirational music that comes from this CD. Words honestly are hard to describe it. Hillary is at the top of the LDS music industry as far as I'm concerned and I'm so grateful for the ALL the talented artists the Lord reserved for these last days when times can get really tough. Hillary's music is comforting, uplifting, spiritual, wonderously beautiful and even fun! The messages are just the best! You won't be disappointed in any of her CD's. In fact, I bought this one twice for myself, cause I left my first one in a hot car and it warped. It was well worth buying the second one! I could hardly live without it! !